At the 2015 Tokyo Game Show, I got quite a bit of hands on time with Hatsune Miku: Project Diva X for PlayStation Vita (to appear on PS4 later). Miku moved about like we’ve come to expect, and the graphics looked about the same as usual, though I may have been viewing them through a smudgy convention screen. Ew. 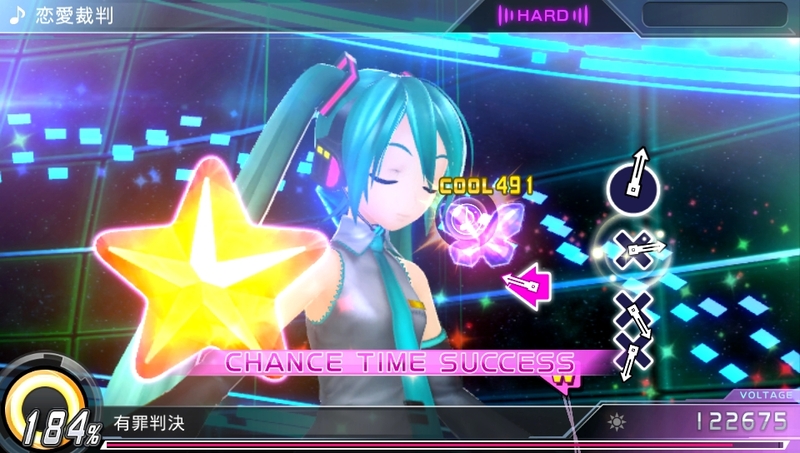 Project Diva X played exactly like Project Diva F 2nd, with the addition of button mashing. When a note’s icon says “Rush” under it, that means you hit it in proper timing as usual, but then go on to hit it as many times as possible. This will sound familiar to music genre fans, especially those who’ve played Taiko Drum Master. In Miku’s world, it was implemented as an alternative to holding notes. I didn’t find it to add much to the gameplay, but a change is a change. The demo’s song was “Raspberry Monster,” which I’d never heard before, but found enjoyable. Useless crap that should have been omitted from the preview: I went back to my hotel and queued it up for a listen as I wrote this. Hatsune Miku: Project Diva X will arrive on Japanese Vitas in March of 2016. It’ll later go to PS4. Neither version has been confirmed for international release, but the way things have been going, they’re a safe bet. Based on my play time, another safe bet is that this is another game that will please Mikumaniacs. What Does Yakuza Need Most?